Jun 17] Visual Storytelling Contest videos and materials are updated. Apr 14] Workshops (PacificVAST) schedules are updated. Mar 7] Conference program and keynote talks are updated. Feb] Registration is now available! Feb] Accommodation information is updated. You can download the logo here. The 10th IEEE Pacific Visualization Symposium (PacificVis 2017) will be held in Seoul, Korea during April 18 to 21, 2017. Visualization has become an increasingly important research area due to its wide range of applications in many disciplines. 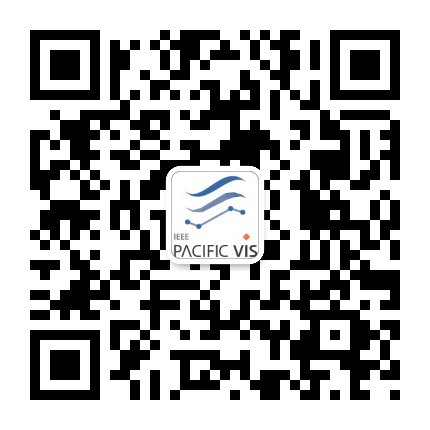 PacificVis is an IEEE sponsored international visualization symposium held in the Asia-Pacific region, with the objective to foster greater exchange between visualization researchers and practitioners, and to draw more researchers in the Asia-Pacific region to enter this rapidly growing area of research. PacificVis is a unified visualization symposium, welcoming all areas of visualization research such as: information, scientific, graph, security, software and bio-visualization. Authors are invited to submit original and unpublished research and application papers in all areas of visualization. We encourage papers in any new, novel, and exciting research area that pertains to visualization. PacificVis 2017 features a short paper track, called "Visualization Notes". The purpose of this track is to encourage young researchers to present their work and discuss with participants including senior researchers there. The submissions can be late-breaking results and work in progress, while they should be novel enough to attract interest from the visualization community. PacificVis 2017 is soliciting high quality poster proposals. The PacificVis 2017 poster program is welcoming all areas of visualization research such as: information, scientific, graph, security, software and bio-visualization. Authors are encouraged to submit work in progress and practical applications to demonstrate novel and applicable ideas in all aspects of visualization. Data storytelling, narrative visualization, and explanatory visualization are popular emerging topics in visualization research. For the first time, IEEE Pacific Visualization (PacificVis) 2017 will feature a Visual Data Storytelling Contest. The purpose of this contest is to encourage students, researchers, artists, journalists, and other storytellers to demonstrate the value of visualization through effective visual data storytelling. Copyright © 2016 IEEE PacificVis. All Rights Reserved.